Oh So Stoned KP- Alcoholic Anonymous Collection Ice-Cream. 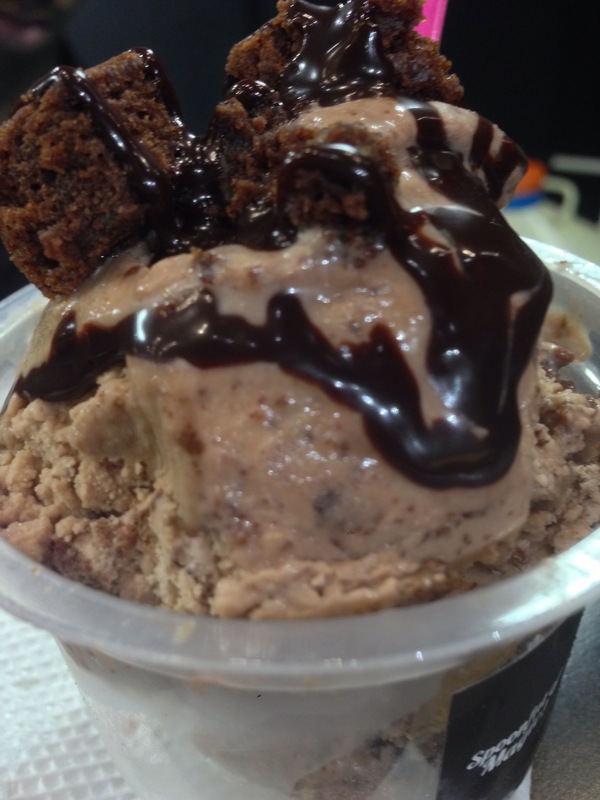 Oh So Stoned is a renowned Ice Cream chain in Delhi and Hyderabad and has finally made its way to Pune. Oh So Stoned! 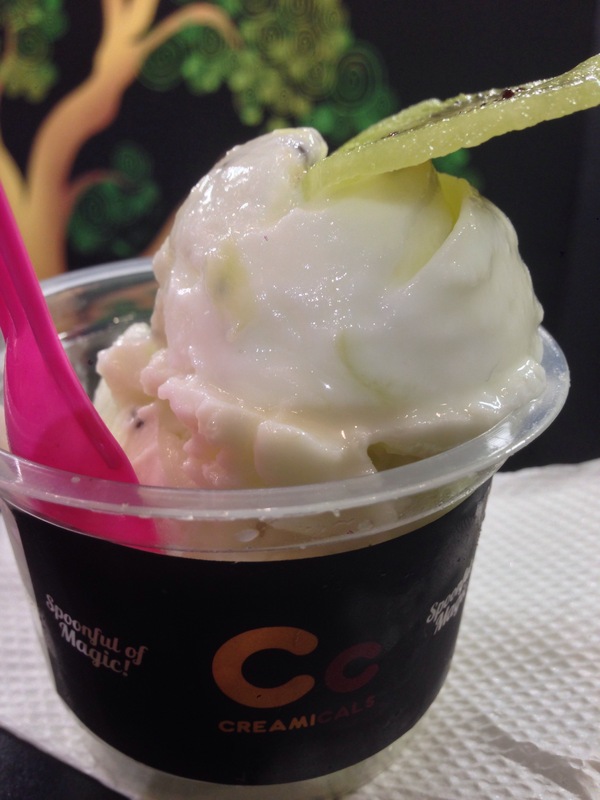 , a venture of Meghna Group of Companies, is a popular & innovative ice cream brand based on the glacial stone concept. Launched in 2012, Oh So Stoned! 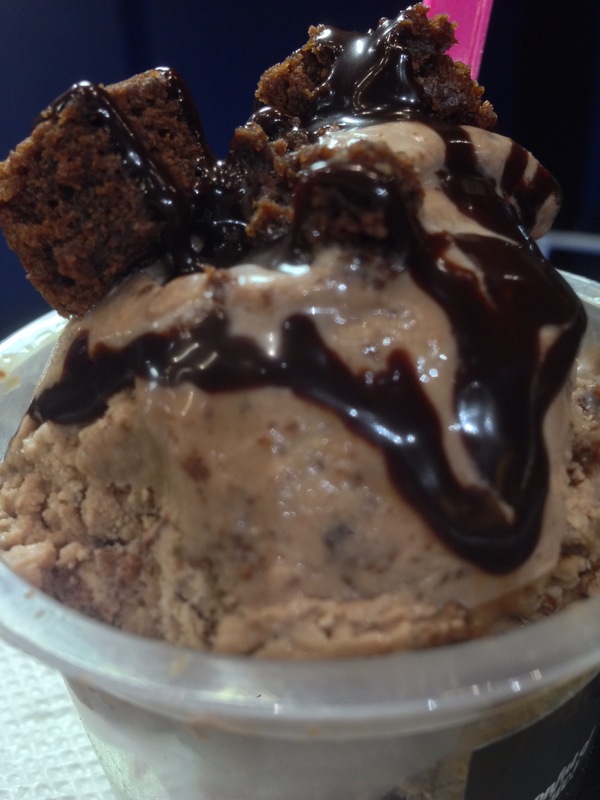 Offers a wide variety of glacial stone creations, thick shakes, gooey chocolate brownies, Munchies – range of quick bites. 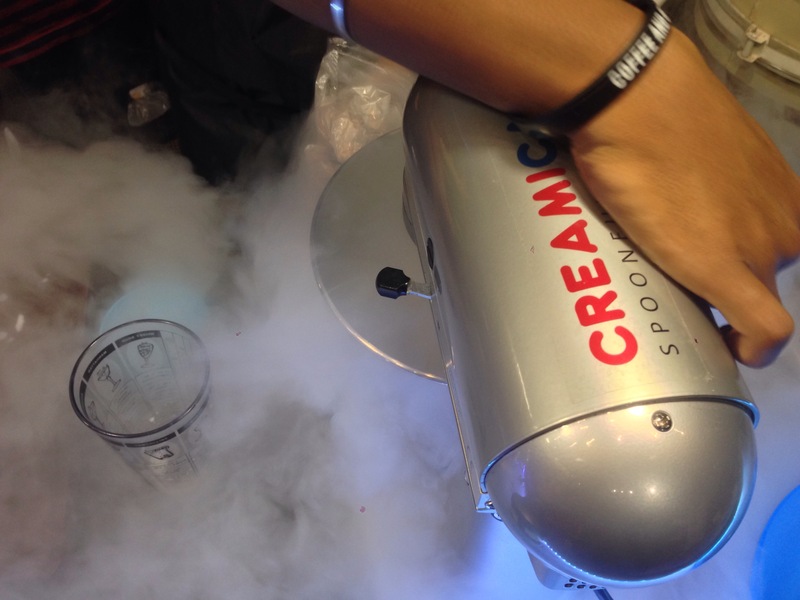 I was Invited to taste their signature Alcoholic Flavoured Ice-Creams, and they call it Alcoholic Anonymous. The first thing we tried was the Rum Baba Ice Cream. On hearing about an alcoholic flavoured ice cream. Let me clear some facts of it, this Ice-Cream, it’s not alcoholic. That’s because all the spirit has been cooked off and is reduced to only flavour. 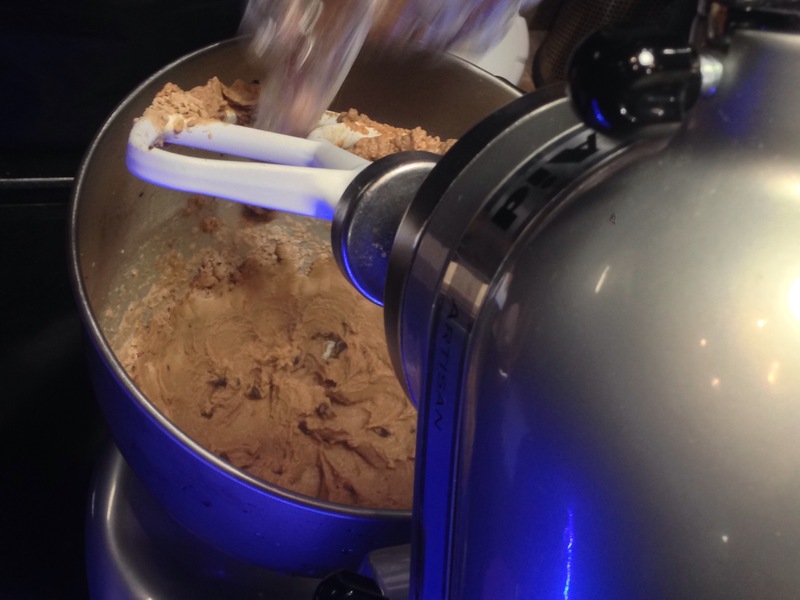 The ice cream has all the punch on Rum and is topped with a Rum ball. They also have a fantastic topping sauce. Next in the line was the Drunken Nuts about Toffee: It was the most nuttiest Ice-Cream. Nice crunchy with the very first bite. Almond praline toffee fused with Chocolate Ice-Cream topped with Roasted Almonds pieces with Signature Rum Sauce. #MustHave. Next one was some desi style Drunken Chikki: This was a blend of Vanilla and Butter Scotch ice-cream with Small Chikki pieces sprinkled on top with their Special Whiskey Caramel Sauce. Crunchy and sticky flavor of the ice-cream. Last one was Boozy Banoffee: The Indulgent Banana and Toffee Dessert infused with Vanilla Ice-cream topped with Chocolate shaving along with Whiskey Caramel Sauce, Choco Chips and Banana Slice. The cup cone becomes bit soggy if you don’t finish it soon. 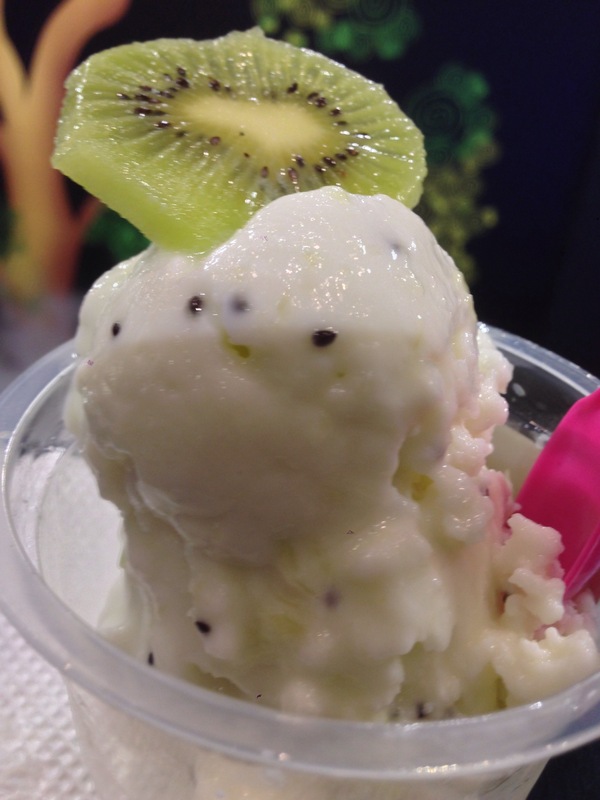 If you like the flavor of banana in your ice cream then this is for you. Oh So Stoned has seasonal menu to look forward especially the Mango Special, where they have Mango based ice-cream and Shakes. Thank you Maneesh Manral (Go. Pune) for the invite and Oh So Stoned Koregaon Park for Hosting us. Posted on July 20, 2017 August 1, 2017 Categories Food, Ice creams, Sweets and DessertsTags Alcohol Based Ice-Creams, Alcoholic Anonymous Collection Ice-Cream, Boozy Banoffee, Drunken Chikki, Drunken Nuts about Toffee, Exclusiveinvite, Food, foodie, FoodPorn, Go. 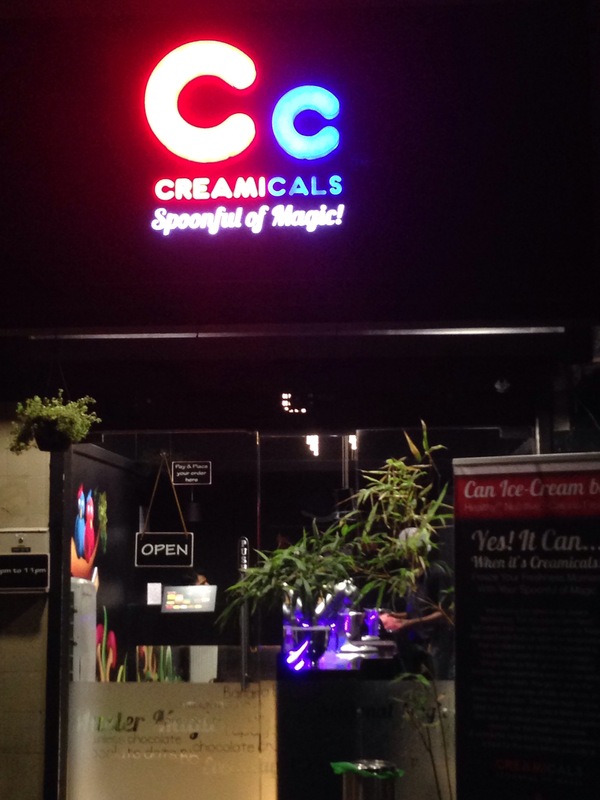 Pune, Ice -creams, ice-cream tasting, India, Koregaon Park Pune, Maharashtra, nature, Oh so stoned, Pune, Pune Blogger, Pune Food Blogger, Rum Baba, yummie healthyLeave a comment on Oh So Stoned KP- Alcoholic Anonymous Collection Ice-Cream. Date of visit 6 July 2025…. Are you wondering why did I mentioned the year wrong …. It should be 2015 and not 2025 …!!! Yeah this was the same feeling came in to my mind when I was watching my ice cream getting dressed up and decorated…. When I visited this place on 6th July 2015 it was not even listed on the Zomato, I still have the bill kept all these months safely and I was waiting to review it. I tried twice sending the request to add the venue but failed to get it listed…. 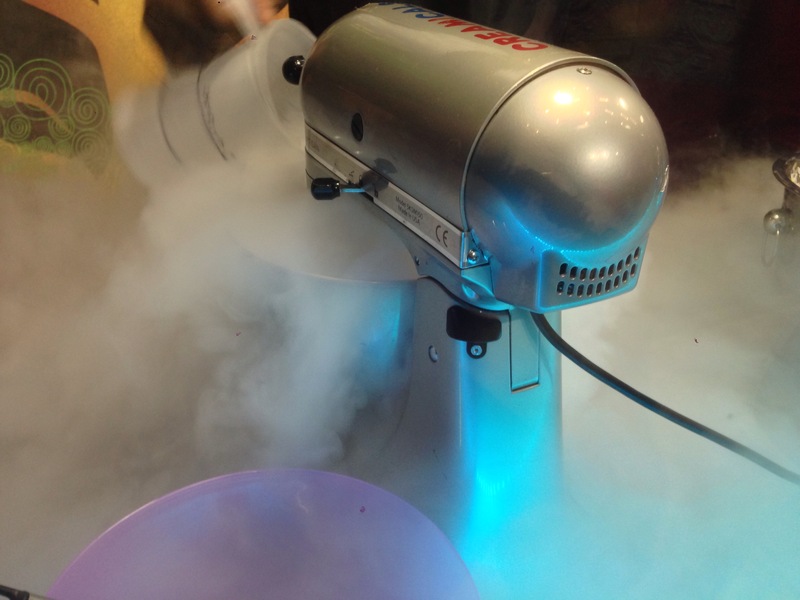 Recently I was searching for an another ice cream joint where in I came across this place…. So finally it was listed with many lovely reviews from the fellow foodie’s…. Unique way of preparing the ice cream right in front of you, without adding any kind of preservatives, colouring or food essence or for that matter sugar to make this spoonful of magic. They don’t use stabilisers to make the ice creams, so the ice cream starts melting within 10-15 minutes so it’s no point taking it home. Both the ice creams were just heaven, mouth melting, it was so quickly melted before we could catch the taste and the sweetness of the flavour it was vanished from the taste buds…. So end up having one more spoonful of magic and try to catch the same… Then again…. It goes on…. It’s just Magical…. 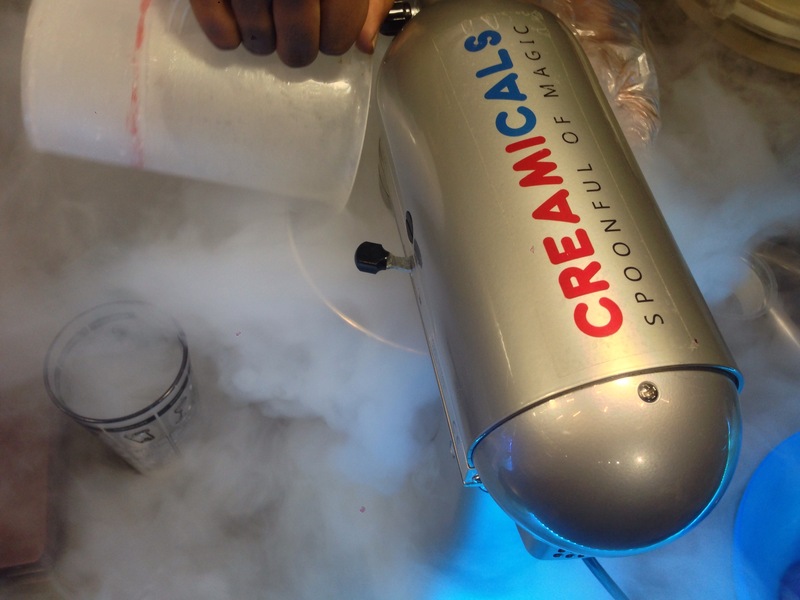 Ice Creams: Amazingly Magical….. That’s what I call…. Excellent variety, freshly made in front of you, without any guilt you can have more as they have natural sugar in it. 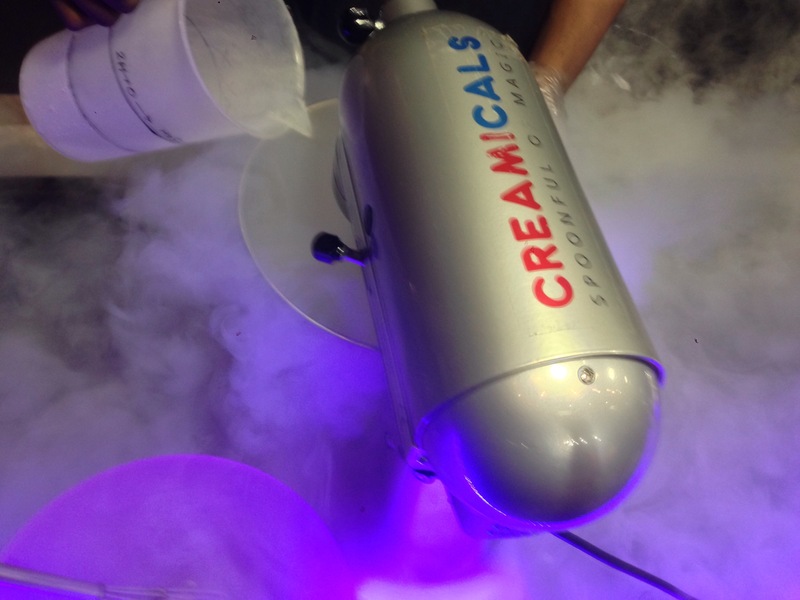 The ice creams are delectably smooth without any lumps or ice crystals. Service: Superb, nicely done and served with smile. Staff: Super clean and they handle everything very carefully, not in a hurry they take they time to prepare. Ambience: Single shutter shop but very colourful and lively. Value for money: Its a magic with a technology so prices gonna be on higher side but mind it, it’s not roadside kulfi wala or for that matter any multinational ice cream brand… The price you pay is for the innovation, freshness, tenderness, and the most important is its the consistency of quality. It’s really worth paying for the goodness of magic…..